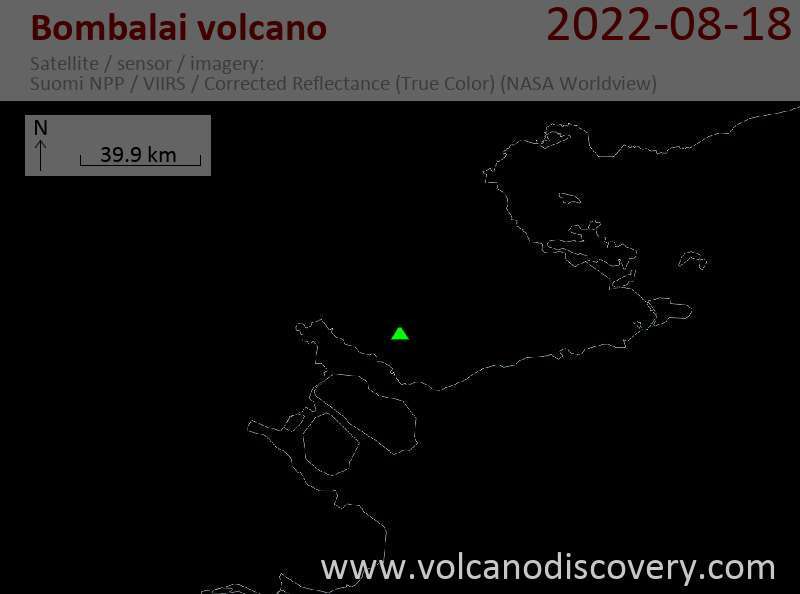 Bombalai volcano in north east Borneo is the only volcano considered still possibly active of Malaysia, although its last eruptions might have been thousands of years ago. It is located close to the border with Indonesia, in the Malaysian province of Sabah, across Cowie Harbor from the the Indonesian province of Kalimantan. Bombalai cinder cone is part of a large volcanic field on the Semporna Peninsula in the NE of Borneo. 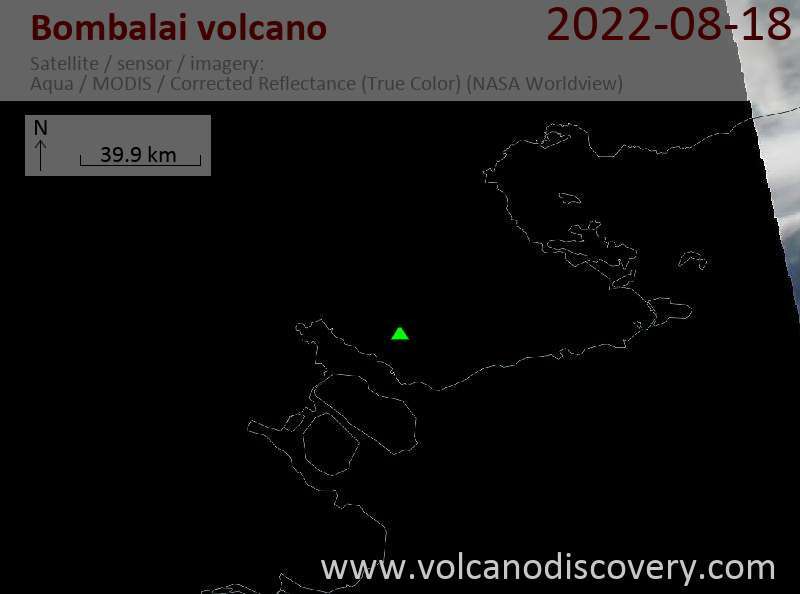 Bombalai has a 300 m wide crater breached to the south and 2 young lava flows extending almost to the coast.